Welcome to 38th Annual American Heart Association Beach Ride! We are looking forward to kicking off the 38th Annual AHA Beach Ride, November 6th-10th at Lakewood Camping Resort. 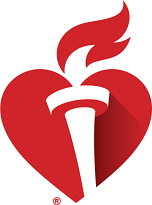 2018 was a record breaking year raising $363,000 in life saving funds for the AHA. We know with our passionate group of riders committed to making a difference, we can make 2019 our best year ever! ALL riders will be required to pay for campsites in full by May 1st and pay a minimum of $50 deposit to the AHA by June 15th or campsites will be canceled. Please do not register with the AHA until you have a confirmed campsite. To be placed on a waitlist for sites, please call Lakewood Campground at 843-447-7701. See below for a breakdown of minimum fundraising amounts. We are once again excited to invite our Superstar Fundraisers (those raising $1,000 or more) to our VIP check in on Tuesday, November 5th from 2pm-5pm.